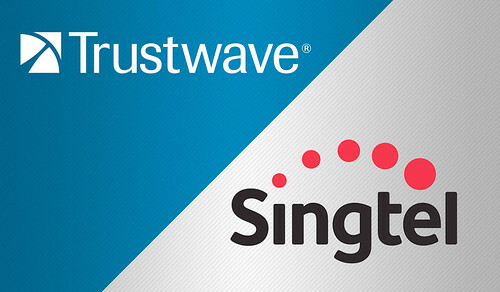 The big news today is an acquisition, “Trustwave bought by Singtel” is rocking all the headlines. The fairly well known security vendor Trustwave has been bought for a rather large amount (almost $1 Billion – but not quite). We have mentioned Trustwave before, and not in a good light – they were sued as the security vendor for the Target hacks. It seems not to have hurt them as the case was dropped a few days after being filed, and they weren’t listed so their value isn’t public knowledge (until now at least) – they are valued at $850 million. Singapore Telecommunications Ltd. (Singtel) is acquiring privately held security vendor Trustwave in a deal valued at $810 million. Under the agreement, Singtel will acquire a 98 percent share of Trustwave, which has an enterprise value of $850 million. Trustwave Chairman, President and CEO Robert J. McCullen will retain the remaining 2 percent share. Singtel expects the transaction to close in the next three to six months pending regulatory approvals. After the deal closes, Trustwave will operate as a stand-alone business unit of Singtel. The current Trustwave management team is expected to stay in place, and Trustwave’s headquarters will remain in Chicago. Singtel is a leading communications group that provides multiple services, including both fixed and wireless voice and data. The group extends into 25 countries across Asia, Australia, Africa, Europe and the United States. According to Singtel, it has more than 500 million mobile customers globally today. “Singtel is the perfect partner for us as we continue to help businesses fight cyber-crime, protect data and reduce security risk, and the Trustwave team is thrilled to become a part of such a prestigious and innovative organization,” McCullen said in a statement. Trustwave is a large company in the security space with more than 2.7 million business customers globally across 96 countries. Definitely one of the leaders in the managed security services market. This will take Singtel (who already has a strong hold on the services market) to a whole new level in the infosec space. The deal will help Singtel establishing itself as a global security player. “Our extensive customer reach and strong suite of ICT [information and communication technology] services, together with Trustwave’s deep cyber-security capabilities, will create a powerful combination and allow Singtel to capture global opportunities in the cyber-security space,” Chua Sock Koong, Singtel Group CEO, said in a statement. Trustwave is active in multiple areas of cyber-security and has more than 1,200 employees based in 26 countries and currently operates global security operations centers (SOCs) in Chicago, Denver, Minneapolis, Manila and Warsaw. Trustwave has managed security offerings as well as stand-alone products. In 2010, Trustwave acquired Breach Security, the primary commercial sponsor behind the widely deployed mod_security Web application firewall (WAF). Also part of Trustwave is the SpiderLabs ethical hacking and threat research team, which has helped discover a number of important security threats in recent years. In August 2014, the U.S. Secret Service credited Trustwave with helping discover the backoff point-of-sale (POS) malware. Initially, the U.S Secret Service warned that 600 U.S. retailers had been impacted by backoff and later upped that number to more than 1,000 retailers. Trustwave has also acquired a whole slew of smaller companies which took them to the size they are and also contributed greatly to their software service offerings such as Finjan and MailMarshal which were bought by the acquisition of M86. It’s good to see the little rock down South of Malaysia making such a bold move.